April 17, 2018 | Today in Vancouver, a diverse group of B.C. community, Indigenous, and business leaders announced the launch of the “Declaration in Defence of Wild Salmon”. The declaration seeks to draw together the growing number of voices calling on the B.C. government to take action on salmon farming by refusing to renew fish farm leases when they expire in June, 2018. The declaration describes B.C. wild salmon stocks as a “public treasure”, and points to disease and pollution from open-net fish farms as a reversible threat to their survival. The declaration’s proponents are calling for its immediate implementation in the Broughton Archipelago, where leases are expiring in the traditional territories of First Nations who have resisted salmon farming for decades. "The evidence of risk to wild salmon is sufficient that the precautionary principle should be invoked,” says Dr. Larry Dill, Professor Emeritus, Simon Fraser University. “Governments should mandate and support the aquaculture industry's move from open net pens to land-based closed containment production systems." The group is calling on more British Columbians from all walks of life to sign the declaration today. Time is running out to show the Provincial government the strength of support for transitioning open net-pen salmon farms to land. The declaration is found at www.safesalmon.ca, a website hosted by Watershed Watch Salmon Society, Georgia Strait Alliance and Living Oceans Society. Our wild salmon are a cornerstone of British Columbia’s natural wealth. They have nourished our communities, economy, and cultures for thousands of years. 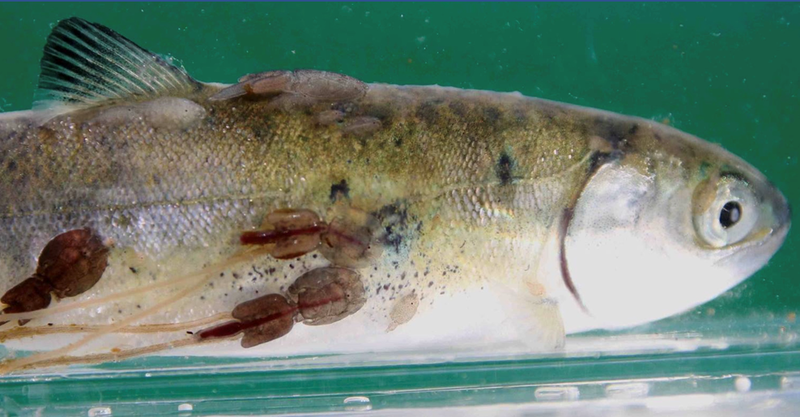 A growing body of scientific evidence shows open-net salmon farms are spreading parasites and diseases to BC’s wild salmon, contributing to the collapse of wild salmon and the jobs that depend on them. Since Washington State passed legislation last month banning salmon farming in State waters, B.C. is now the only jurisdiction on the west coast of North America that allows the controversial practice. This past weekend, the Association of Vancouver Island and Coastal Communities, representing dozens of municipalities on the BC coast, passed two resolutions calling for the removal of open net-pen salmon farms from BC waters. Increasing numbers of British Columbians are speaking up, demanding action to remove salmon farms from the migration routes of wild salmon and from the territorial waters of First Nations who have not agreed to host them.